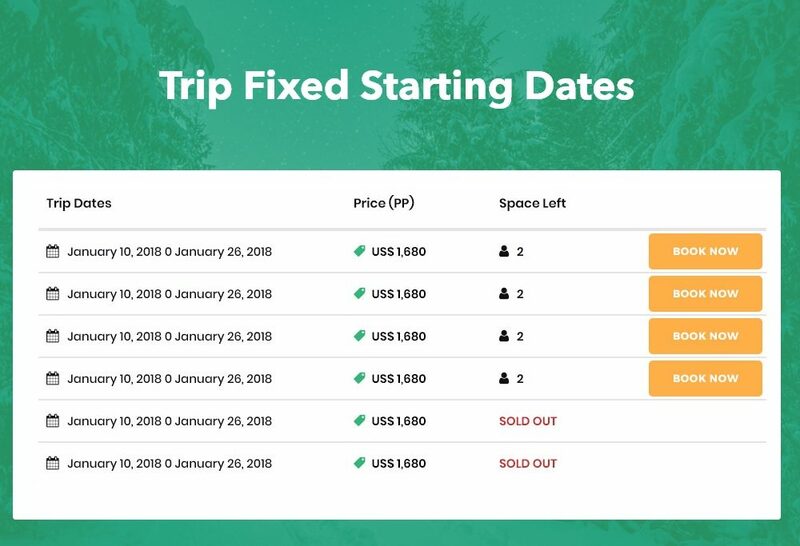 This extension allows travel agencies and tour operators to show trip fixed starting dates and number of space available for booking. For example, you may have fixed dates for a trip and only limited seats are available for the date. 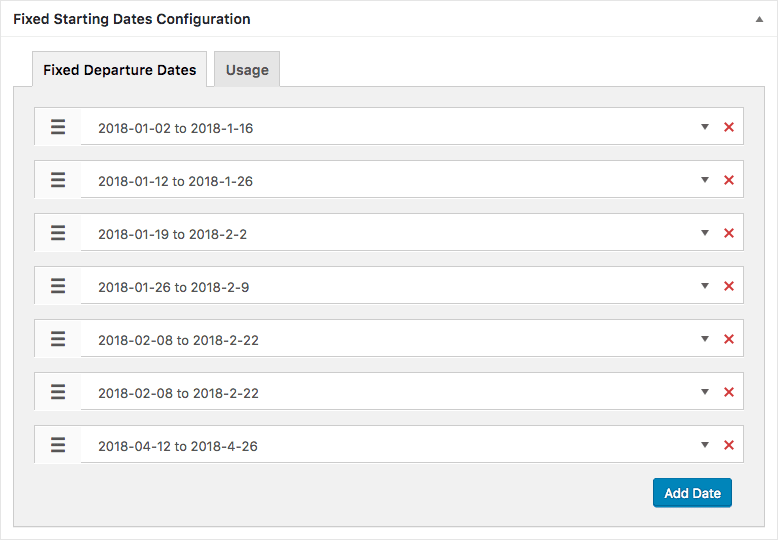 Then using this extension, you can added the dates and number of seats available for the dates. Booking can only be made on those dates. 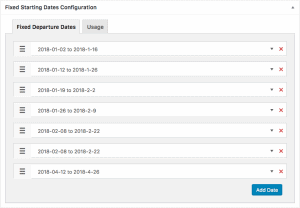 After a booking is made, the number of available space automatically get reduced. 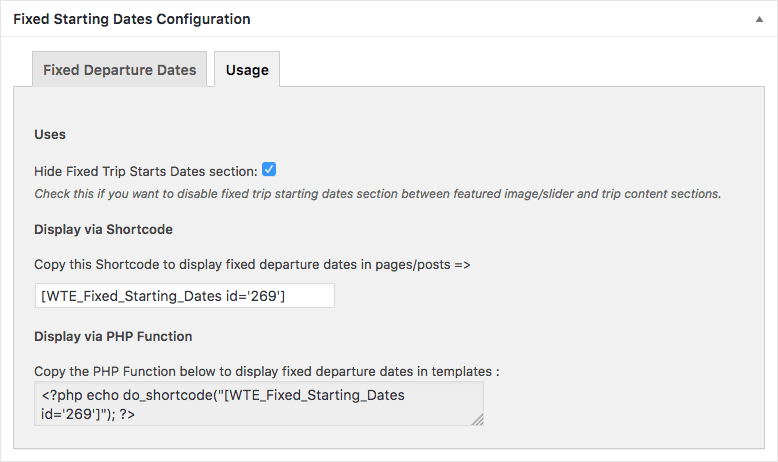 Trip Starting Dates (Fixed Departure Dates): You can add unlimited trip starting dates for every trips. 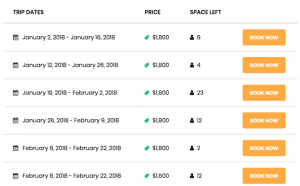 Space/Seat Available: You can add number of space or seat available for every trip starting dates. 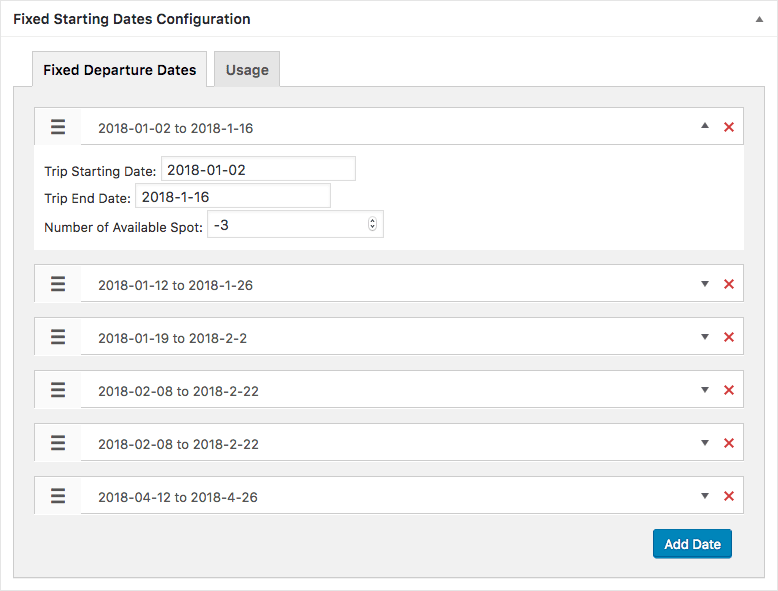 Automatically Reduce Space/Seat: When a booking is made on a fixed trip starting date, the number of seats automatically get reduced based on number of space booked. 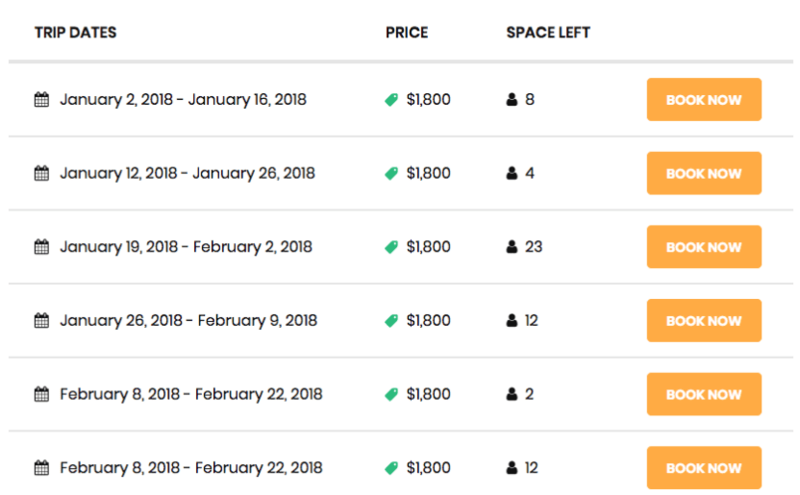 For example, if there were 10 space available and 5 people booked on a date, then now the number of available space displayed is just 5. 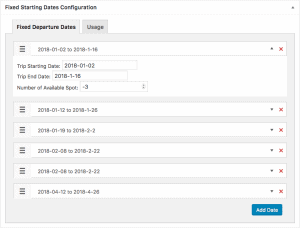 Past Dates Removal: Past trip dates are automatically removed. For example, if you have a trip starting date on 20th January 2018, then it is no longer displayed on 21st January 2017 because the date has already passed. 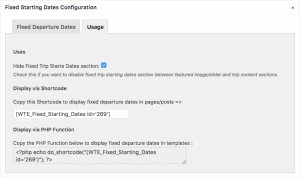 Short Codes: You can change the position where the fixed starting dates are displayed using the short codes.